Dulquer Salmaan, Dhansika, Sai Tamhankar et al. 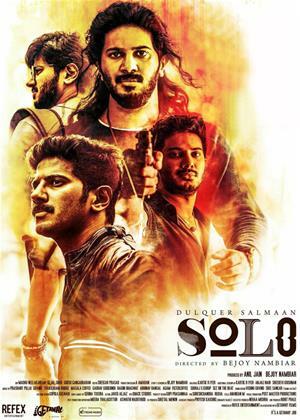 Dulquer Salmaan stars in multiple roles in this Indian anthology thriller co-written and directed by Bejoy Nambiar. The film features four different stories, based around the elements of water, earth, wind and fire, including the relationship between a student and a blind dancer, and a gangster whose life is changed when he falls for a girl.